Dieu Cay, Vietnam’s famous human rights/democracy activist and prominent political blogger, was released from Vietnamese prison earlier this week and immediately deported from the communist country. 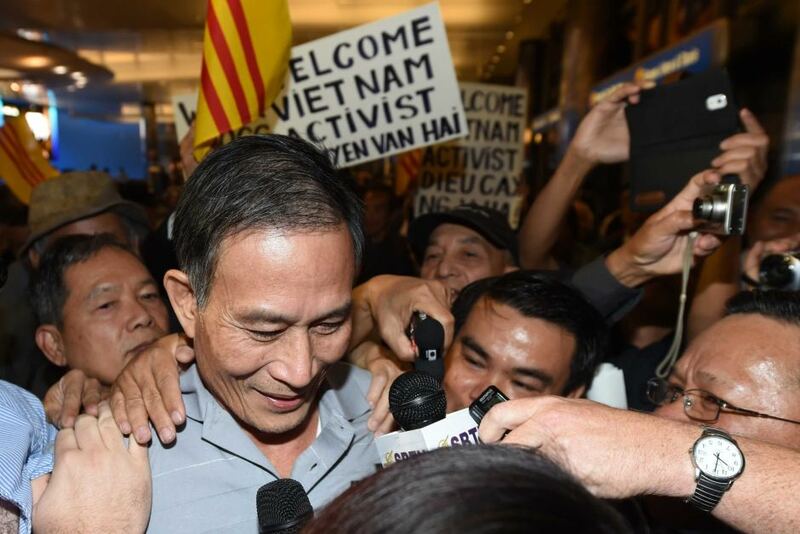 The renowned blogger, whose real name is Nguyen Van Hai, arrived at a Los Angeles airport midday Tuesday, October 21, 2014, to a large and adoring crowd of supporters. 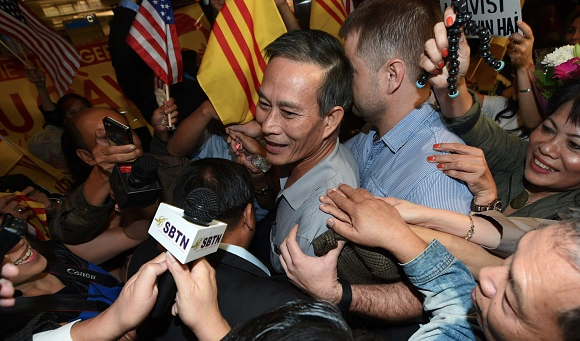 The news of Dieu Cay’s release came as a shock to all observers outside of Vietnam. The Vietnamese government kept his release a secret, with his deportation from the Socialist Republic of Vietnam also being carried out in a covert manner. Upon his release, Dieu Cay did not even get a chance to say farewell to his family or friends. Instead, he was immediately vacated from Vietnam, quickly put on a flight to Hong Kong, before finally arriving in the U.S. on Tuesday. Dieu Cay’s final destination is Canada. 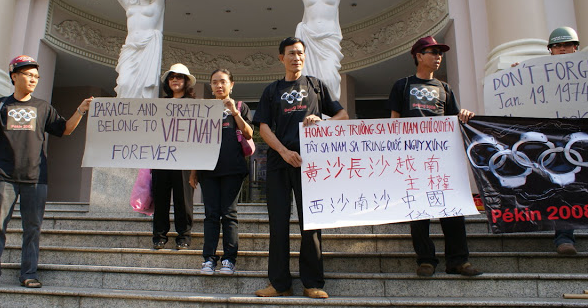 Dieu Cay was arrested by Vietnamese authorities back in 2008 during the Summer Olympics for protesting against China’s conduct in the seas, as well as the PRC’s occupation of Tibet. In 2012, the Vietnamese Communist Party sentenced him to 12 years in prison for spreading “anti-state propaganda,” which, as we all know, apparently includes any statement that is deemed offensive to China as well. The sentencing was one of the harshest for cases of this kind, which is partly why news of his release and deportation came as such a huge surprise to the public abroad. While in prison, Dieu Cay subjected himself to agonizing hunger strikes on two separate occasions in protest of the Vietnamese government and the aggression of the Chinese. His health deteriorated drastically as a result of his time in prison, creating a public relations nightmare for the Vietnamese government, who is well known throughout the international community as an abuser nation that does not abide by the rule of law. Vietnam has long been criticized for its atrocious human rights record, a mark that the communist nation has tried to dispute on numerous occasions, but always failing to deliver. Dieu Cay’s release can be viewed here as another attempt by Vietnam to try to improve its image in the eyes of the world. As it stands, the nation’s human rights record is still detestable, and the situation on the ground shows no sign of actually getting better. For now, one can rejoice and welcome the arrival of one of Vietnam’s most vocal human rights champions. I imagine this is only the beginning of his new chapter here in the west. However, only time will tell how significant this new chapter will be.